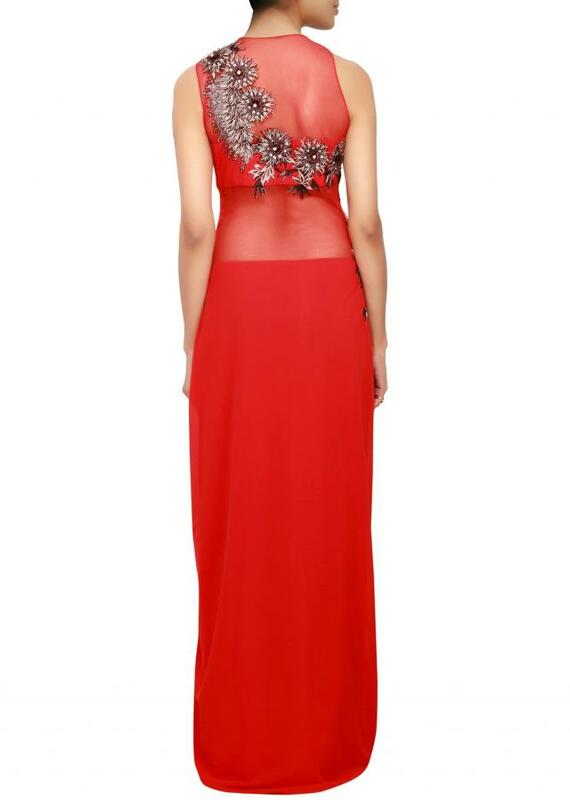 Featuring a red suit in net and lycra with bodice embellished in cut work and zari embroidery. It has side cowl drapes. It comes with a red lycra churidaar. 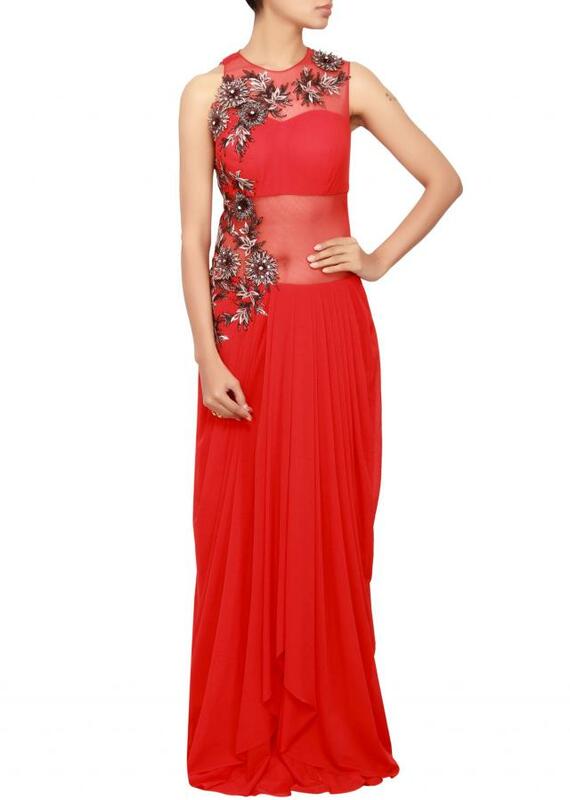 Dupatta is in red net.